I never thought I would blog on being a great friend. But I am amazed how many people call my show, Dawson McAllister Live, who down deep are lonely and need a good friend. The fact of the matter is we are all wired for meaningful relationships. Studies show if you have good friends throughout your life, you will live longer. There is a lot of truth behind the common saying, In order to have a great friend, you must first be one. So how can you learn to be a great friend? What does it take? 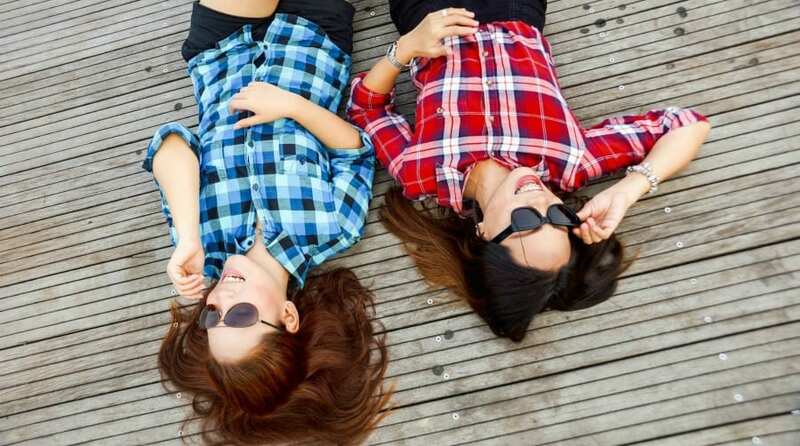 Here are some qualities of a great friend. As you learn how to be a good friend, in turn, you’ll be teaching your friends how to become better ones. Be real. People are turned off by those who are constantly trying to be someone they are not. We are most comfortable around others who are comfortable in their own skin. So just be yourself. Even though you aren’t perfect, the way you handle your strengths and faults with humility and confidence will give other people permission to be real and relaxed with you, as well. Real friends are relaxed around each other. Be honest. Keep your promises and do what you say you’re going to do. Be reliable. Nobody wants to be friends with someone who lies. And lies always have a way of coming to the light. Also, friends will say the truth to one another, even when it’s hard. The wisest man in the Bible, King Solomon, said: Faithful are the wounds of a friend, but the kisses of an enemy are deceitful. Shannon got caught up in an eating disorder until her friend called her out: I was addicted to being skinny and looking absolutely perfect. I never really understood what I was actually doing to myself until a good friend of mine talked to me about it. Take an interest in the details of your friend’s life by being a good listener. Don’t watch television or text while your friend is sharing something with you. Most times people need more than good advice, they need someone to listen to them as they talk through their feelings. Ask them what’s going on in their life and how they feel. Mari commented: Kyler is my best friend because he listens. No matter what is going on he is genuinely interested in how I am. He always has my back and would drop everything if I needed him. Make time for your friend. Time is one of the greatest gifts we possess. When we share extra time with a friend, we are giving back to them that gift. No friendship can develop overnight. It takes time. A real friend will take that time. Keep their secrets. Prove yourself to be a trustworthy person who will guard their secrets with your life. A good way to prove you are trustworthy is to be free to share some of your own secrets with your friend. King Solomon also said: Friends come and friends go, but a true friend sticks by you like family. Are you willing to be a friend like that? Encourage your friend. Everyone needs encouragement. Find specific ways to encourage your friend. Even in the depths of their struggles, show them what you see to be special about them and be willing to pick them up when they are depressed or feel like life is pressing in on them from all sides. Be loyal to your friend. This is unconditional acceptance, even when your friend makes a mistake or really screws up. Be there when they are experiencing their highest highs and their lowest lows. Laugh with them, cry with them, don’t just talk about always being there. Prove it in your everyday life! Delaney wrote to me and said: I have great friends who are always there for me and always know how to make me happy. Be willing to work through conflict. Every relationship will hit a speed bump at one time or another. 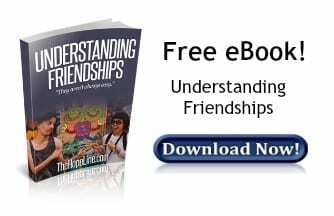 Show your friend you are willing to work through the difficult times of misunderstandings and hurt feelings. Sometimes friendships grow stronger through the difficult times. Don’t give up on your friend just because you are having difficulties. Watch out for your friend. When you see your friend getting into a dangerous situation whether it’s with drugs or alcohol, or maybe even a destructive relationship, be bold enough to step in and protect your friend from the harm you see coming their way. Narda commented: My best friend is more than a best friend, she’s more like a sister. And she feels that same way. We both have each other back, now and forever. It takes a lot of work and commitment to be a great friend. But it is worth it. Keep in mind there are people all around you who are looking for friends. So continue developing good friends and your life will be far better for it. this blog is very good and thanks to you for help. Beautiful Post! This makes so much sense, glad I have got to read this.